62445301681 ../;jsessionid=101791svv6r1j7x37d1g0l8rezw4q9y.10179?wicket:interface=:0:beta-club:modal-container:modal-content:content:body:login-rixty-form:visibilityContainer:fbconnect::IActivePageBehaviorListener:1:1&wicket:ignoreIfNotActive=true It seems like your browser is preventing Facebook Authentication. This happens when your browser's Tracking Protection is enabled. To continue logging in via Facebook, please turn off Tracking Protection or use a different browser. 62445301681 ../;jsessionid=101791svv6r1j7x37d1g0l8rezw4q9y.10179?wicket:interface=:0:login-panel-small:login-small:login:modal-container:modal-content:content:body:login-rixty-form:visibilityContainer:fbconnect::IActivePageBehaviorListener:1:1&wicket:ignoreIfNotActive=true It seems like your browser is preventing Facebook Authentication. This happens when your browser's Tracking Protection is enabled. To continue logging in via Facebook, please turn off Tracking Protection or use a different browser. 62445301681 ../;jsessionid=101791svv6r1j7x37d1g0l8rezw4q9y.10179?wicket:interface=:0:login-panel-small:login-small:signup:modal-container:modal-content:content:signup-form:fbconnect::IActivePageBehaviorListener:1:1&wicket:ignoreIfNotActive=true It seems like your browser is preventing Facebook Authentication. This happens when your browser's Tracking Protection is enabled. To continue logging in via Facebook, please turn off Tracking Protection or use a different browser. 62445301681 ../;jsessionid=101791svv6r1j7x37d1g0l8rezw4q9y.10179?wicket:interface=:0:redeemcode:modal-container:modal-content:content:body:login-rixty-form:visibilityContainer:fbconnect::IActivePageBehaviorListener:1:1&wicket:ignoreIfNotActive=true It seems like your browser is preventing Facebook Authentication. This happens when your browser's Tracking Protection is enabled. To continue logging in via Facebook, please turn off Tracking Protection or use a different browser. 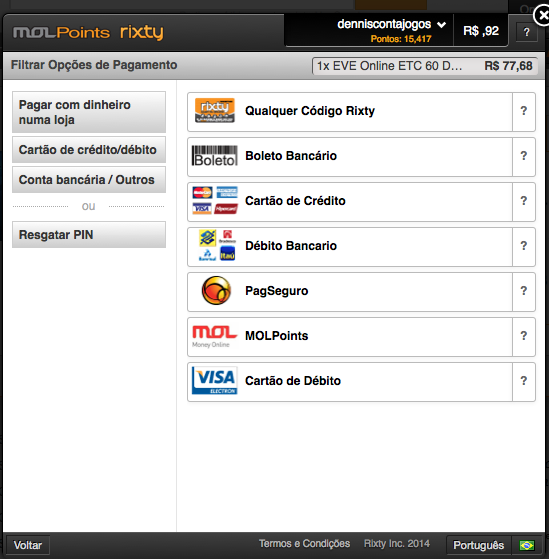 Rixty is now part of MOL, and MOLPoints™ is powered by Rixty in the Americas. 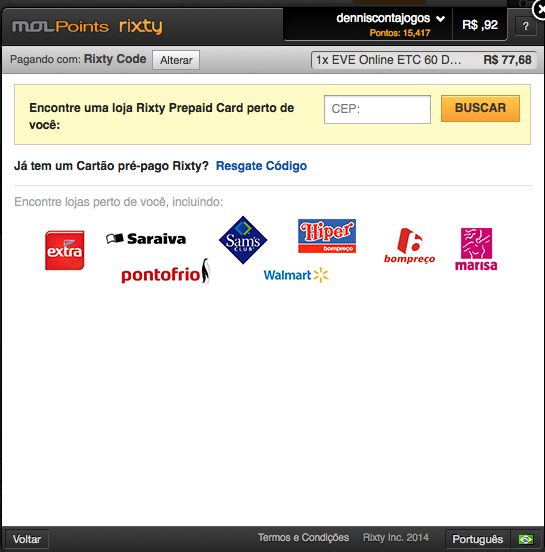 Since joining the MOL family of companies in 2012, Rixty has expanded operations and now manages the North and South American regions of the MOL cash payment network, giving gamers more than a hundred thousand retail locations where they can pay for their favorite online games. 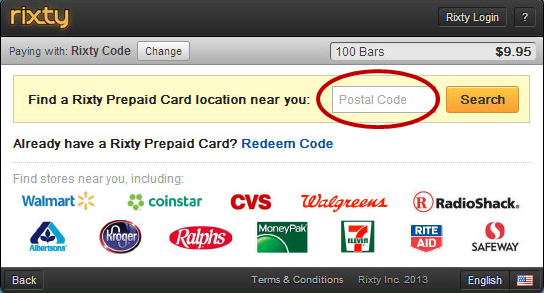 (1) Click the MOLPoints button when paying at your favorite game or website. 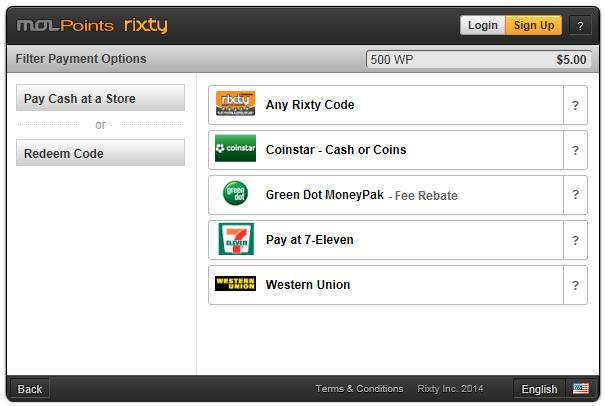 (2) Choose how you want to top-up in the MOLPoints | Rixty window. Top-up options differ by country. 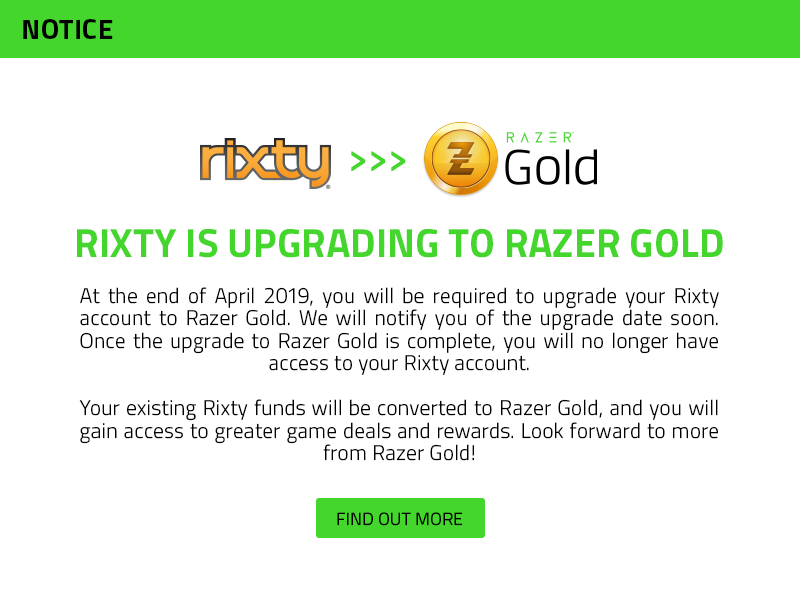 Depending on the game, you may need to submit your email address or create a Rixty account. For options sold through retail stores, search for nearby locations using the handy store locator. (3) After you have topped up your account, complete your purchase. Game on!